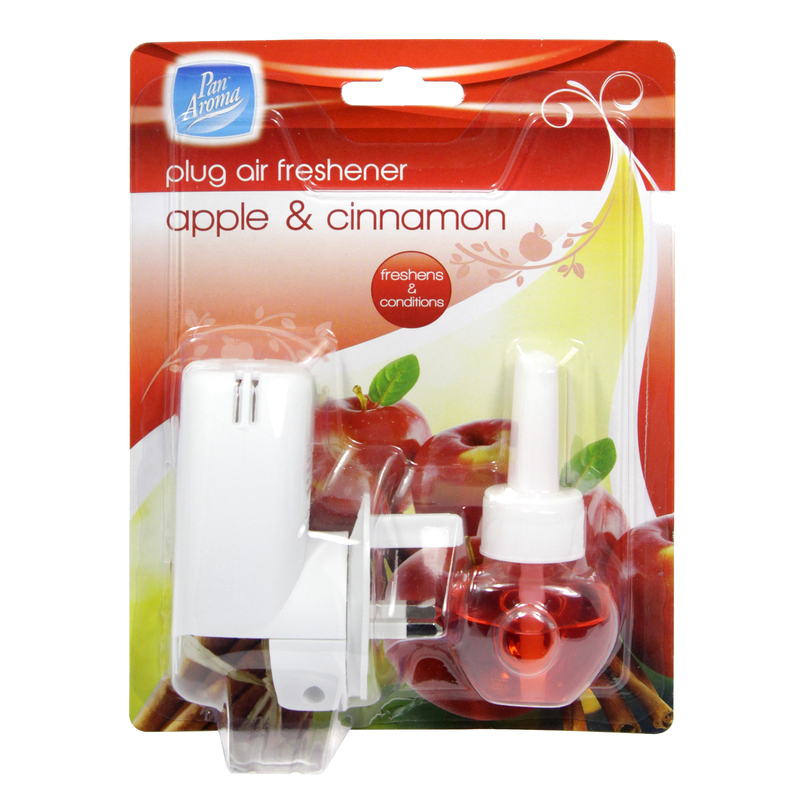 Pan Aroma Plug Air Freshener - Apple & Cinnamon. This Pan Aroma Plug Air Freshener is a quick and easy way to fragrance your home. Each bottle of fragrance will last for up to 30 days and refills are available.